The historical village of Masouleh looks more beautiful when it becomes snowy. Winter has started in northern parts of Iran. 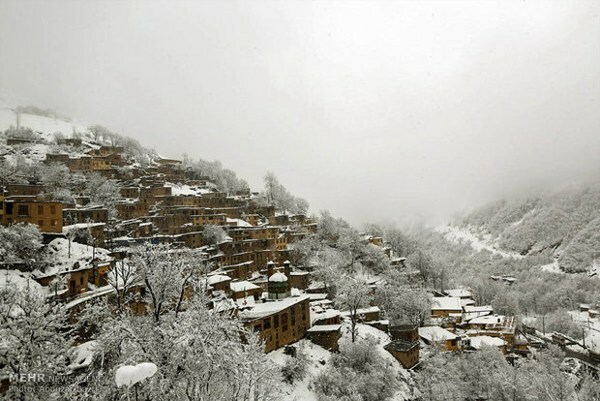 Masouleh, an ancient village in Gilan province, is covered in deep snow. Masouleh was founded in 10th century AD and is famous for its architecture. The roofs of houses on lower tiers are used as courtyards for houses on the tiers above. In some cases, public streets are laid out along interconnected roofs.